November Calendar. A November calendar of Mario and Peach. HD Wallpaper and background images in the Mario and Peach club. This Mario and Peach fan art contains anime, comic book, manga, and cartoon. 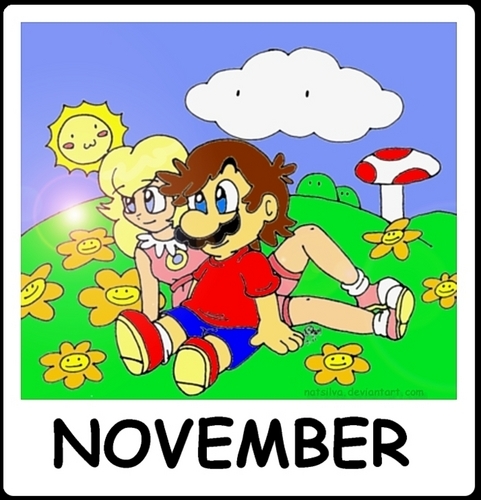 can you do one with December only this time with Luigi and Daisy.My birthday is in December.That's why I want you to do it.Please?